The Hon’ble Principal Bench of the National Green Tribunal (NGT) heard the deconcretisation of trees in Delhi case on the 23rd of May, 2013. The concretisation of trees in Delhi has come as a huge menace and has posed a great threat on the survivability of healthy trees in the city. Consequently, the NGT was moved vide Application No. 82/2013 through the ‘Aditya N. Prasad & Others. Vs Union of India & Ors.’ case. A parallel online citizens’ petition to the NGT was also put together in the form of a signature campaign. This became the Earth Day campaign for Delhi and was supported by several active citizens and organisations in addition to Delhi Greens. The campaign was also picked by mainstream media and saw wide coverage. The campaign was also broadcasted via Radio One and saw considerable participation by citizens, both over the Internet and offline. 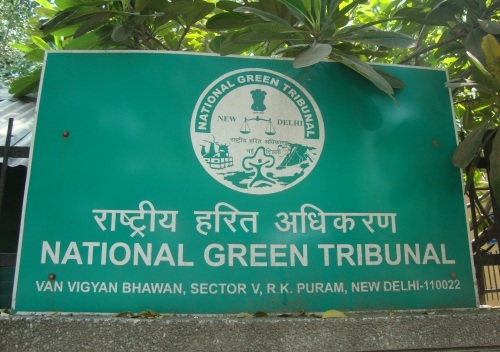 After listening to the arguments made by both the sides, the Hon’ble Principal Bench of the NGT has now given strong directions to the 14 implementing agencies and Departments of the Central and State Government “to stop concretization around trees and complete the process of de-concretization in Delhi in an effective and time bound manner.” The NGT has also agreed that “concretization is causing substantial damage to trees.” As a response to a recent sustained media campaign against the nailing of trees in the city, the NGT has also issued directions to the various implementing agencies and departments to ensure that “all boards, nails and advertisements on any kinds of boards and signs are removed from trees forthwith.” The NGT took a strong stand against the nailing of the Bus Stop signs in trees by the Delhi Transport Corporation (DTC), which was recently published as a media item in a leading national daily. The DTC has now been made the 15th agency which shall be a respondent to the case in the next hearing. The directions of the NGT have in so far been given the seriousness they deserve by the Department of Forests & Wildlife, Government of NCT of Delhi. In a letter dated 06.05.2013, the department has circulated a ‘compliance of directions by the NGT’ request to 11 implementing agencies in Delhi. The letter also cites previous court directions towards concretisation of trees and also throws light on the Delhi Preservation of Trees Act (DPTA), 1994. “The DPTA, 1994 has described severing the trunk from the roots, uprooting the tree including bulldozing, cutting, girdling, lopping, pollarding, applying arboricides, burning or damaging a tree in any other manner like nailing, putting of hoarding and lighting, lopping, application of acids as violation of the provisions of the said Act or Rules.” The letter states categorically that any of the aforementioned actions call for the prosecution of the offenders under the DPTA, 1994. The letter asks for immediate deconcretisation of trees and also for the stopping of any activity which may damage the trees. The case in the NGT is now listed on 17th May, 2013 for the followup of tree protection work by the implementing agencies. With inputs from Aditya N Prasad and Govind Singh.